The MMO has published a new research report looking at how and where marine plans are being used in decision-making by public bodies. 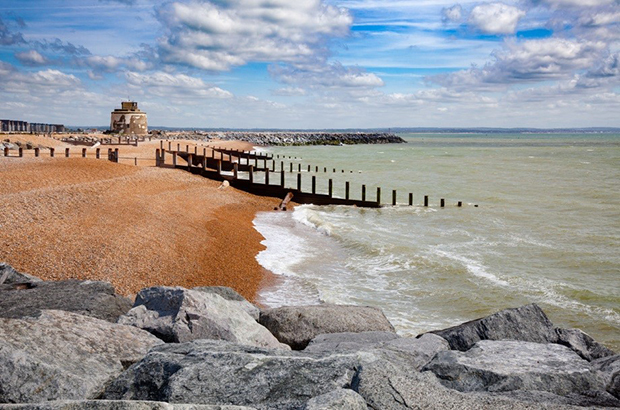 Marine plans are developed by the Marine Management Organisation to guide sustainable development in England’s seas. Regulators making decisions about developments that might affect the marine area, extending seawards from mean high water springs, are required by the Marine and Coastal Access Act 2009 to consider marine plans in their decision making. How are marine plans used? Who needs to consider marine plans and policies, and what decisions need to be made in accordance with them? To gain a better understanding of decision-making using marine plans (under section 58(1) and 58(3) of the Marine and Coastal Access Act 2009) the MMO commissioned a research project, ‘External Decision Making and Implementation Mapping of Marine Plans’. In the course of researching marine plan use in decision-making, the study identified a total of 29 government bodies, agencies and other public bodies who are involved with 46 types of decisions. These decision types included marine licensing application approval to developing and delivering catchment flood management plans. The research also identifies where marine plan use may be relevant to advisory bodies and functions. where evidence of marine plan use can be gathered, demonstrating compliance and informing marine plan monitoring. 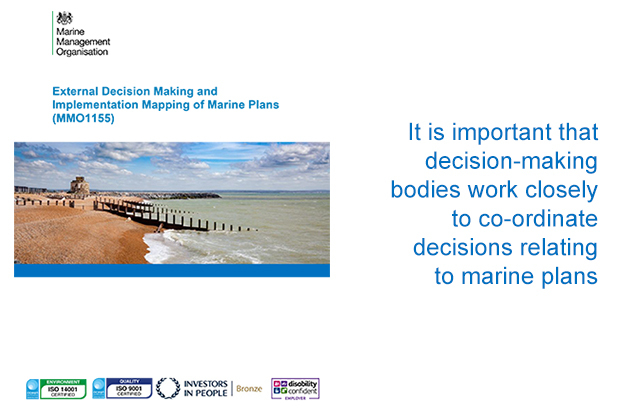 It is important that decision-making bodies work closely to make sure that decisions relating to marine plans are co-ordinated. Three cases studies were developed as part of the project to explore decision-making processes in more detail. These case studies included use of the Coastal Concordat, offshore wind and resource planning and marine protected areas. Each case study included investigation of the implementation of marine plans and management regimes, as well as highlighting potential challenges and opportunities. The MMO and other relevant bodies will use the information and recommendations in the report to make the implementation of marine plans more effective in the future. The full report can be found on GOV.UK along with a summary version. Don't forget to have your say on iteration 3 of marine plans for the north east, north west, south east and south west. You can give your views online until 29 March 2019.